For use with jigs, vises, and angle plates on milling machines. Fully adjustable for horizontal and vertical configurations. 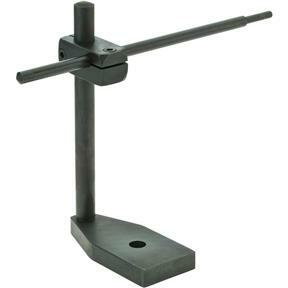 1/2" hole for T-slot mounting, 3/8" diameter rod, and 2" x 4-1/2" base. Overall height is 7-1/2".